Dunedin’s GASP! 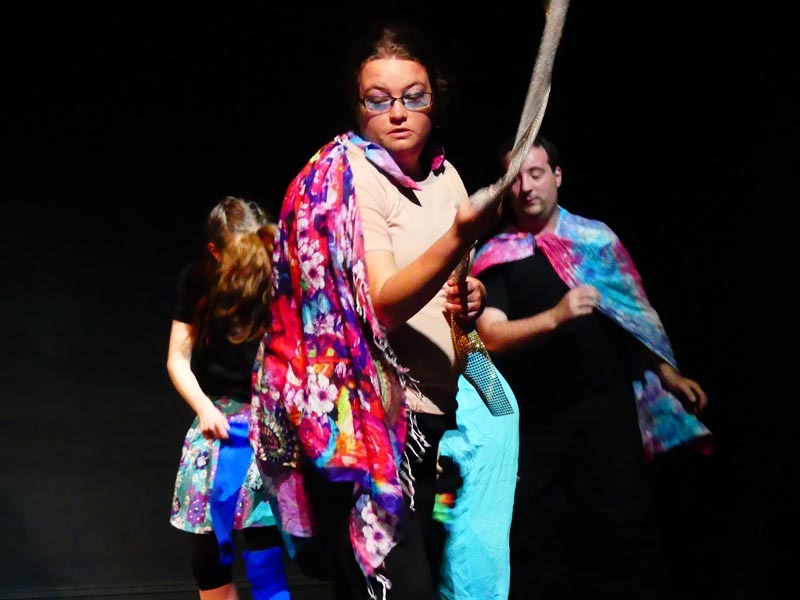 Dance Collective will perform On Display during the 2019 Dunedin Fringe Festival. Choreographer Miriam Marler says GASP! is aiming to attract 15-20 participants for each performance and hopes the audience will get involved too. The performances will be on 29 March at 11am and 1pm in the Upper Octagon, 30 March at 9am and 11am in the Dunedin Railway Station, and 31 March at 1pm and 3pm at Toitū Otago Settlers Museum. All the venues are wheelchair-accessible. On Display was first choreographed by Heidi Latsky Dance in New York and is now performed around the world. In New Zealand, performances are presented under the umbrella of Auckland’s Touch Compass. “On Display is a mixture of non-professional and professional performers from GASP! Dance Collective, the local dance community and the wider community to celebrate all kinds of diversities we have in Aotearoa,” Miriam says. These include, but are not limited to, age, size, gender, disability, race, culture, religion, skin colour, distinguishing features, refugees and the LGBTQI+ community. Miriam co-founded GASP! Dance Collective with Hahna Briggs in 2013. At the time, she was looking for a like-minded group of people who were keen to practise, perform and choreograph together. She originally trained at Auckland’s Unitec, and has since done postgraduate study at Otago and Auckland Universities. They will also be offering classes for under-16s for the first time this year and are also exploring funding options to create a dance film. Original generation time 1.8895 seconds. Cache Loaded in: 0.0006 seconds.